Visit Vaucluse House and Manly Quarantine Station for their historical value. Do some cultural sightseeing at Old Government House and Barrenjoey Lighthouse. Get out of town with these interesting Manly side-trips: Mahon Pool (in Maroubra), Hazelhurst Regional Gallery & Arts Centre (in Gymea) and Cronulla Beach Walk (in Cronulla). Spend the 12th (Wed) exploring nature at Lane Cove National Park. Spend the 21st (Fri) exploring nature at Ku-ring-gai Chase National Park. The adventure continues: kick back and relax at Shelly Beach, admire nature's wide array of creatures at Manly Sea Life Sanctuary, tour the pleasant surroundings at Tamarama Beach, and identify plant and animal life at Featherdale Wildlife Park. 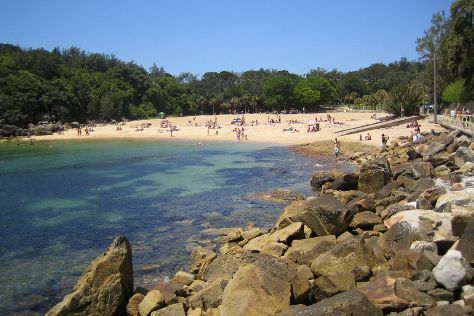 For photos, traveler tips, other places to visit, and tourist information, read our Manly trip itinerary planner. Sydney to Manly is an approximately half hour car ride. You can also ride a ferry; or take a bus. Expect a daytime high around 20°C in July, and nighttime lows around 10°C. Finish your sightseeing early on the 22nd (Sat) to allow enough time to drive back home.